Russia may request a reduction in the size of the Gabala radar site in Azerbaijan in an effort to reduce the rent fee, Defense Minister Anatoly Serdyukov told reporters on Thursday. ­Built by the Soviets in the Gabala district of Azerbaijan, the radar station has been monitoring missile launches from as far away as the Indian Ocean since 1985. Russia had been hoping to modernize the facility, but unless Moscow and Baku can agree to the terms of a new contract, the future of the sprawling complex remains in doubt. “We have set up groups led by (Russia’s) Defense Minister and a Deputy Prime Minister from Azerbaijan,” Serdyukov said after talks with his Azeri counterpart Col. Gen. Safar Abiyev on the sidelines of the meeting in Kaliningrad of the Defense Ministers Council of the Commonwealth of Independent States. “We have sent out our proposals and are waiting for a response," Russia’s Defense Minister confirmed. Kommersant, the business daily, reported in February that Azerbaijan wanted to charge Russia $300 million to rent the site, as opposed to the previously agreed $7 million. Moscow is seeking to extend the lease until 2025. The final details of the discussions, which may involve reducing the amount of land that Russia rents, will be hammered out in the coming months, Serdyukov said. "We are proposing such essential things as a reduction in the size of the sites accommodating individual facilities,” he said. “This is a work in progress. Summing up the results would be premature." 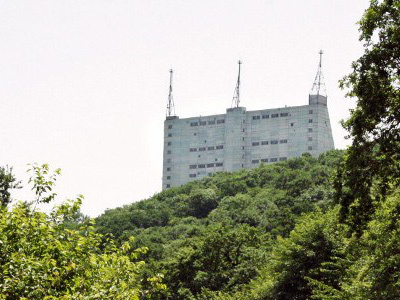 Military experts say the Gabala radar is an essential part of Russia’s air defense system, providing early warning for Russia’s south. In 2007, Moscow offered the United States joint use of the Gabala radar as an alternative to a Europe-based missile defense system, but Washington rejected the plan, thereby increasing Russia’s suspicions concerning the system. Russia has warned the US and NATO that without some sort of agreement on the system the world could face another arms race.